A recent video making the rounds features a Mexican-American at work on a construction job responding to questions about the work ethic of Latinos vis-a-vis recent comments by Donald Trump. Fiat Chrysler Automobiles’ Ram Truck Division, extolling virtues similar to those articulated by that construction worker, is launching a new advertising campaign for the Latino market — a demographic whose representation in the truck market is growing as fast as the U.S. Hispanic population. The television effort, “Salt of the Earth,” via Houston-based independent Lopez Negrete Communications, aligns the brand with the “sweat Latino workers put into building a life for themselves and their families — the sweat that comes from hard work, endurance, perseverance and dedication,” per an agency statement on the effort. Comprising three TV commercials, starting with an anthemic spot, the campaign says Ram vehicles are as hard-working as Latinos. The campaign also brings in composer Gustavo Santaolalla (“Brokeback Mountain,” “Babel”) to add a Latin acoustic guitar soundtrack. The ads show Latinos doing hard work in America, on farms, in construction, and manufacturing, with a single drop of sweat splashing in slow motion onto farm soil, as a key visual. 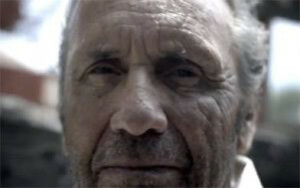 The agency also created campaigns for FCA’s Dodge brand, featuring well-known Hispanic actor Danny Trejo, the heavy in films like Machete; and for the Chrysler brand, a campaign with actor and director Gael García Bernal, who is featured in ads for Chrysler 200. Osuna says there will be more creative for Dodge featuring Trejo. He also says new work featuring the actor may have a digital extension, something people can be engaged with socially. The first spot posited Trejo as a sinister closer in what appears to be a nefarious deal, but turns out to be a car sale in a Dodge dealership.